Foundation block for male bodice. This pattern can be used to create a variety of men's clothes casual or formal. Follow our measurement system and input measurements according to macro instructions. The pattern will be generated accordingly. The pattern may include darts which are normal for the body but these darts do not have to be used except for styles such as suits or fitted jackets that require darts. The back shoulder dart comes for the fitting of the back shoulder which is normally longer than the front shoulder. This dart can be used to create a back yoke for a shirt. Check our men's wear bodice pattern making eBook for more information about manipulating patterns for men's wear. Ignore the dart if you don't want to use it by straightening the back line and removing the dart amount. This is the easiest system for trouser pattern making. Using this book, you will be creating your o.. This is a foundation pattern for creating ladies garments. It is a PDF pattern. Select your size, p.. 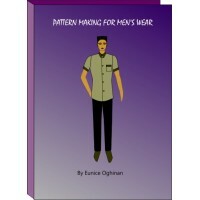 This books covers pattern construction for men's wear. 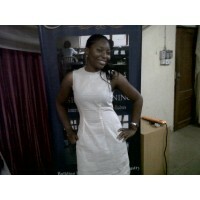 Content: Bodice, sleeves, collars, trouser p..